Today, small and midsize businesses are embracing mobile and cloud technologies to improve employee productivity and engage with customers. More business needs an affordable, high-performance and secure wired and wireless infrastructure that can support the growing number of mobile devices and cloud-based applications. 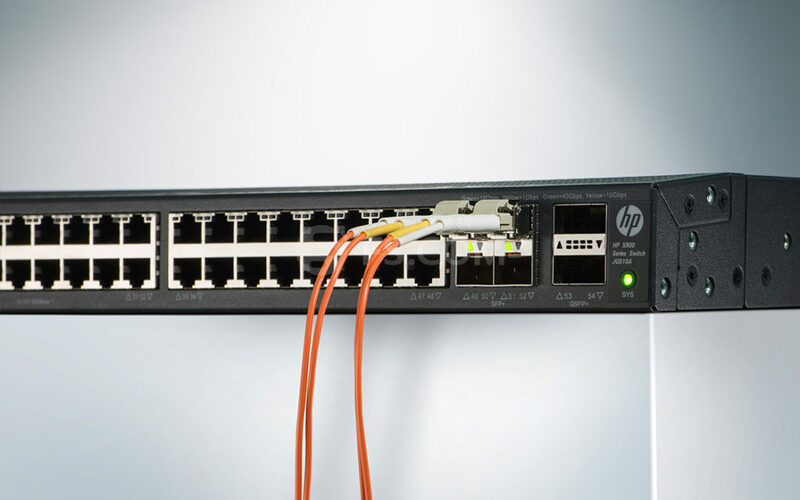 When asking for a recommendation for SMB switches, many people always recommend the HP because it has most of the same capabilities such as full management capability, rock solid operation and great support (as the Cisco), but at half the price. And HP 1810-48G switch is one of such SMB switches. This article intends to give a simple introduction to HP 1810-48G switch and provide compatible SFP transceiver solutions for it. The HP 1810-48G switch is a basic smart managed Gigabit Ethernet Layer 2 switch that is designed for small businesses. This HP ProCurve 48 port gigabit switch has four additional true Gigabit Ethernet SFP ports (52 total active ports) for fiber connectivity, which supports Gigabit-SX, -LX, or 100-FX and SFP 1G RJ-45 copper connections. Besides, it supports flexible deployment options, including mounting on walls or ceilings, under tables, or desktop operation. More than anything, it comes with an anti-theft protection Kensington Lock slot, which allows switches to be secured in open-space deployments. A HP 1810-48G switch also has some customizable features, including VLANs, Spanning Tree and link aggregation trunking. HP ProCurve transceivers as the part of the networking accessories that are applied to their corresponding switches or routers. 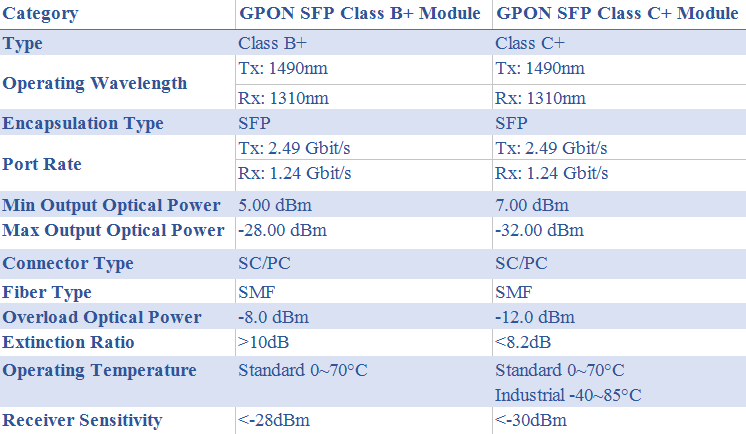 Thus, it is also important to get some knowledge of the HP ProCurve Mini-GBICs and SFPs. HP ProCurve Mini-GBICs and SFPs have three version: revision A, revision B and revision C. Though there is no big difference between these three version, some improvement will be added in the newest version. The “revision C” Mini-GBICs (eg. J4858C, J4859C, J4860C) are supported in all ProCurve products that support Mini-GBICs. In addition, “revision B” and “revision C” mini-GBICs can be used together in any ProCurve switch that supports mini-GBICs. FS.COM can support the 100% compatible HP ProCurve Mini-GBICs and SFPs at version A, B and C, such as J4858A/B/C, J4859A/B/C, J4860A/B/C. According to HP ProCurve Networking Mini-GBIC Support Matrix, we can easily find out which Mini-GBICs and SFPs are supported for HP 1810-48G Switch (J9660A). The HP J9054C compatible SFP transceiver provides 100Base-FX throughput up to 2km over multi-mode fibre (MMF) at a wavelength of 1310nm using a LC connector. FS is guaranteed to be 100% compatible with the equivalent HP transceiver. 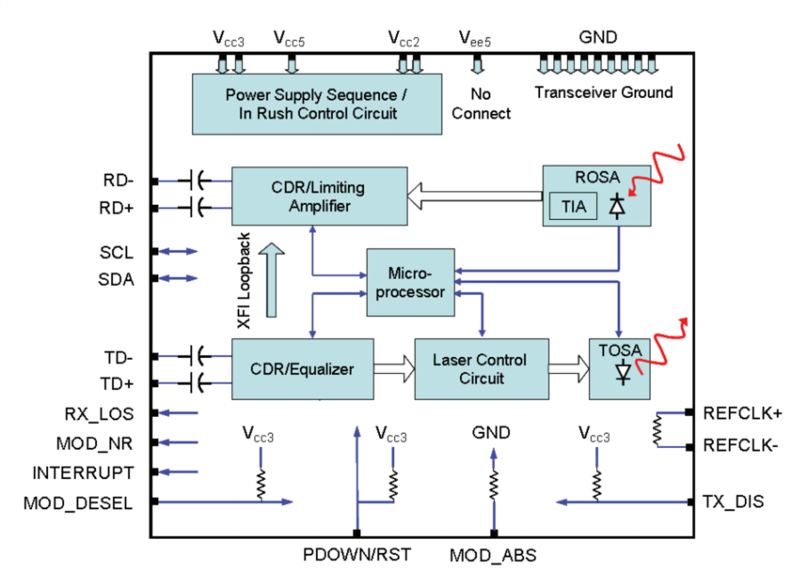 This hot swappable transceiver has been programmed, uniquely serialized and data-traffic and application tested to ensure that it will initialize and perform identically. It is built to comply with multi-source agreement (MSA) standards to ensure seamless network integration. This SFP (mini-GBIC) transceiver module is designed for use with HP network equipment and is equivalent to HP part number J4858C. It provides 100Base-FX throughput up to 550m over multi-mode fibre (MMF) at a wavelength of 850nm using a LC connector. The transceiver is hot-swappable input/output device which allows a Gigabit Ethernet port to link with a fibre optic network. And this transceiver may be mixed and deployed with other OEM or third party transceivers and will deliver seamless network performance. HP ProCurve J4859C 1000BASE-LX-LC Mini-GBIC is a small form factor pluggable (SFP) gigabit LX transceiver that provides a full-duplex gigabit solution up to 10 km (singlemode) or 550 m (multimode). 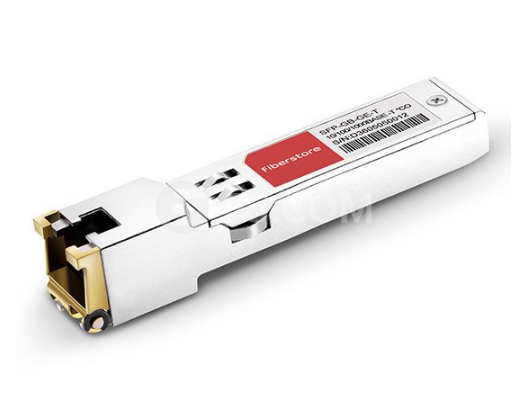 It is an SFP format gigabit transceiver with LC connectors using LX technology. 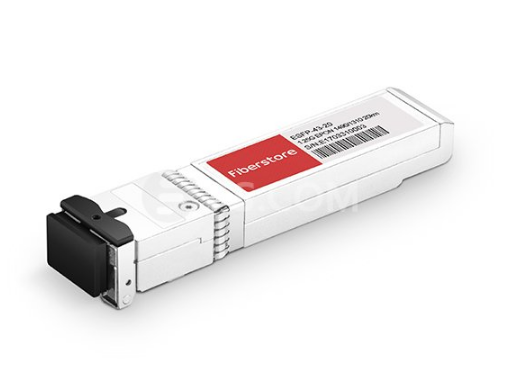 J8177C is a small form-factor pluggable (SFP) Gigabit copper transceiver with RJ45 connectors using 1000BaseT technology, that provides a full-duplex Gigabit solution up to 100m on Category 5 or better cable. It is guaranteed compatible for all HP switch and router product lines. This transceiver can be mixed and deployed with HP OEM transceivers for seamless network performance and interoperability. 1. Remove the attached cable from the Mini-GBIC. 2. Without forcing the latch, swivel the latch 90 degrees to the unlocked position. CAUTION: Do not force the latch! If the latch does not easily swivel 90 degrees, move the latch back to the locked position, re-seat the Mini-GBIC by pressing it into the switch, then repeat step 2. FS.COM is a professional manufacturer and supplier of optical networking solutions. We can supply 100% compatible fiber optic transceiver modules of many brands, like HP, Cisco, Dell, Juniper etc. with a incredible discount. 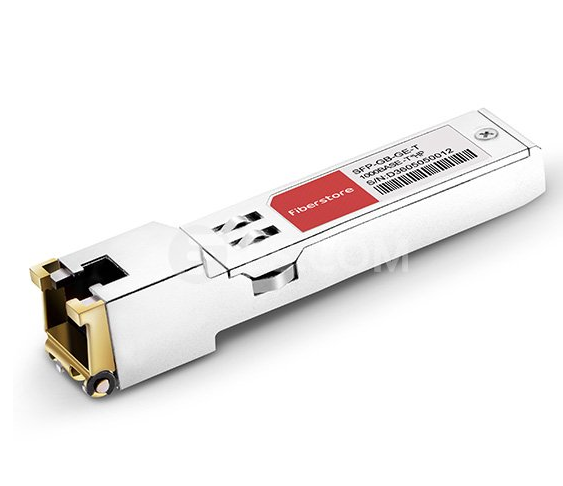 About HP 1810-48G and other switches, you can find a full product line of our New HP transceivers with a good price and enjoy same-day shipping. In addition, according to your requirements, we welcome any inquiry for customized fiber optical transceiver. FS’s aim is offering the best quality products and perfect solutions, saving customers’s time and money, making customers enjoy personalization. Which 10G SFP+ Optics Are Compatible with Intel X520 Adapter? The escalating deployments of servers with multi-core processors and demanding applications are driving the need for 10 Gbps connections. 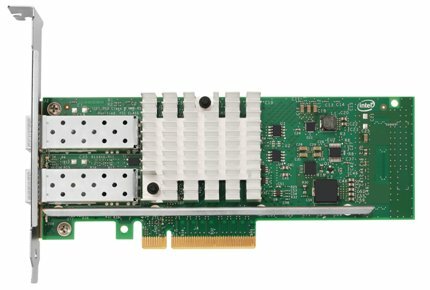 Intel X520 10 GbE Adapter is the most flexible and scalable Ethernet adapters for today’s demanding data center environments. 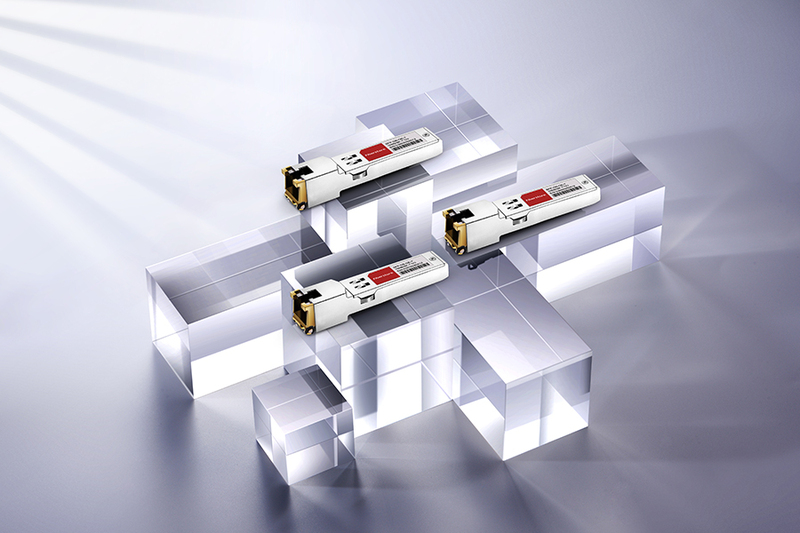 At the same time, 10G SFP+ optics play the most important role for its 10G connectivity. But seriously, do you know which 10G SFP+ optics are compatible with the Intel Ethernet converged network adapter X520 series? This blog will give you solutions. Intel X520 adapter is powered by reliable and proven 10G Ethernet technology, which offers high performance for high-IO intensive applications and showcase the next generation in 10 GbE networking features for the enterprise network and data center. It is designed for multi-core processors, which supports for technologies such as multiple queues, receive-side scaling, multiple MSI-X vectors and Low Latency Interrupts. It addresses the demanding needs of the next-generation data center by running mission-critical applications in virtualized and unified storage environments. In a multicore platform, the Intel X520 adapter supports Intel I/O Virtualization Technology (IOVT), which helps accelerate data across the platform, therefore improving application response times. For virtualized environments, it offers advanced features with VMDq (Virtual Machine Device Queues) that lower processor utilization and increase I/O performance. The Intel X520 adapter provides SFP+ based connectivity options (fiber or DAC cabling). Intel X520 adapters are provided with 7 models: X520-QDA1, X520-DA2, X520-SR1, X520-SR2, X520-DA1OCP, X520-DA2OCP and X520-LR1. X520-SR1 is shipped with 1 SR SFP+ Optic, X520-SR2 has dual-port and is shipped with 2 SR SFP+ Optics, X520-LR1 has single-port and is shipped with 1 LR SFP+ Optic, and X520-DA2 has dual-port and does not ship with any optics or cables, which is the most suitable one for 10G SFP+ Optics and the most popular one on the market. The following table lists the detailed information of Intel X520 adapter series in Table 1. A 10 Gigabit Ethernet network is essential for businesses that demand high bandwidth for virtualization and fast backup and restore for an ever-growing amount of data. To ensure maximum flexibility, Intel X520 adapters supports the ability to mix any combination of the SFP+ optical modules, direct attach copper cables or 1000BASE-T SFP modules. 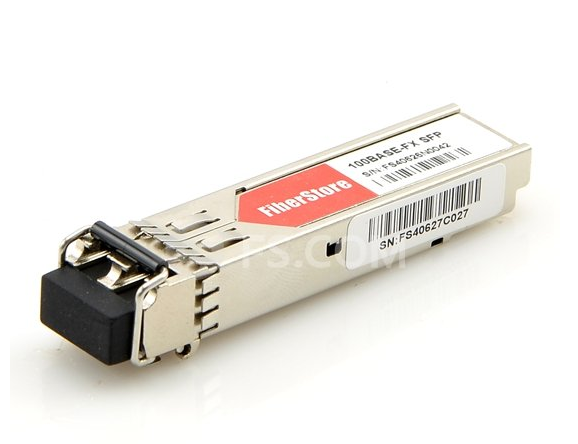 Besides, 10G SFP+ Optics are available in both short range (SR) 850 nm and long range (LR) 1310 nm options. This enables customers to create the configuration that meets the needs of their data center environment. Some 1000BASE-LX and 1000BASE-SX modules can work with Intel Ethernet Converged Network Adapter X520 series. These modules referred to only highlight specifications and compatibility with Intel Ethernet server adapter X520 series. The table lists tested modules in Table 3. Other similar modules may work but have not been tested (many similar modules can be purchased in FS.COM). Remind you to use your own discretion and diligence to purchase modules with suggested specifications from any third party. A DAC cable is a 2-pair shielded copper cabling terminated with SFP+ electrical modules. Intel X520 Adapters require that any SFP+ passive or active limiting direct attach copper cable should comply with the SFF-8431 v4.1 and SFF-8472 v10.4 specifications. SFF-8472 Identifier must have value 03h (You can verify the value with the cable manufacturer). Maximum cable length for passive cables is 7 meters. Support for active cables requires Intel Network Connections software version 15.3 or later. The following table lists the fully compatible 10Gb DAC cables for Intel Ethernet server adapter X520 series in Table 4. 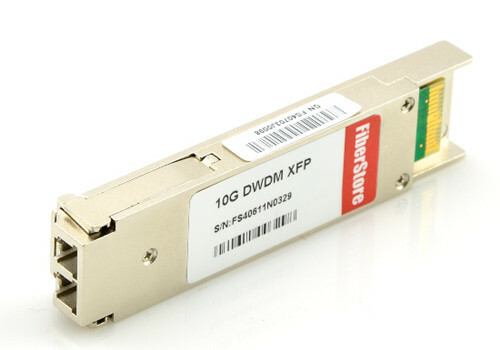 The new QSFP+ single-port X520-QDA1 can connect the server to the latest 40GbE switches with a single cable operating in 4x10GbE mode. This adapter can also utilize existing 10GbE SFP+ switches using the QSFP+ to 4xSFP+ breakout cable. The QSFP+ adapter supports direct attach copper cables and Intel Ethernet QSFP+ SR optical transceivers. Intel Ethernet QSFP+ breakout cables have one QSFP+ connector on one end and break out into four SFP+ connectors on the other end for direct attachment to SFP+ cages. The following table lists the Intel Ethernet QSFP+ cable for Intel adapter X520-QDA1 in Table 5. From what we have discussed, 10G SFP+optics are determined to the data transmission of Intel X520 adapters. SFP+ SR Optics, SFP+ LR optics, 1000BASE-T SFP modules, 10G SFP+ direct attach copper cables and QSFP+ breakout cables are available stock in FS.COM. All SFP+ cables are 100% tested to ensure the compatible and quality. Welcome to visit www.fs.com. It’s no denying that today’s data centers are moving from 10G to 40G and 100G quickly. On this road, data explosion is getting faster, which result in great demand for cost-effective 100G optics. And the commonly used 100G qsfp28 transceiver are CFP, CFP2, CFP4 and QSFP28, especially the QSFP28. Today this article mainly introduces four types of 100G QSFP28 transceiver and the comparison between them to help you choose a suitable one. The 100G SR4 transceiver is a full-duplex optical module, offering four independent transmit and receive channels, each capable of 25Gb/s operation for an aggregate data rate of 100Gbps to 100 meters on OM4 multimode fiber (MMF). It’s fully compliant with QSFP28 Multi-Source Agreement (MSA) and can offer increased port density and total system cost savings for future data center and networking use. When connected to transmission links, an optical fiber ribbon cable is plugged into the QSFP28 modules receptacle via the MTP/MPO connector, and the guide pins inside the receptacle ensure the proper alignment. Besides, this QSFP28 transceiver offers high functionality and feature integration, accessible via a two-wire serial interface which is available for more complicated control signals and digital diagnostic information. The 100G LR4 transceiver is a fully integrated 4x25Gbit/s optical transceiver module, designed for use in data centers and high performance computing network links on up to 10km of single mode fiber (SMF). They are compliant with QSFP28 MSA, IEEE 802.3ba and IEEE 802.3bm CAUI-4. When connected to data transmission links, it converts four input channels of 25Gb/s electrical data to four channels of LAN WDM optical signals and then multiplexes them into a signal channel for 100Gb/s optical transmission. While on the receiver side, the module demultiplexes the 100G optical signals into four output channels and converts them into electrical data. Defined by the 100G PSM4 MSA, qsfp 100g psm4 s is a little different from 100g SR4 transceiver. It uses four parallel lanes (four transmit and four receive) operating on each direction. Each lane carries 25G optical transmission. Therefore, eight single mode fibers are needed when PSM4 is deployed in transmission links. And the reach of PSM4 is up to 500m on single mode fiber, compensating for the transmission distance defect between 100g SR4 and 100g LR4 transceiver. 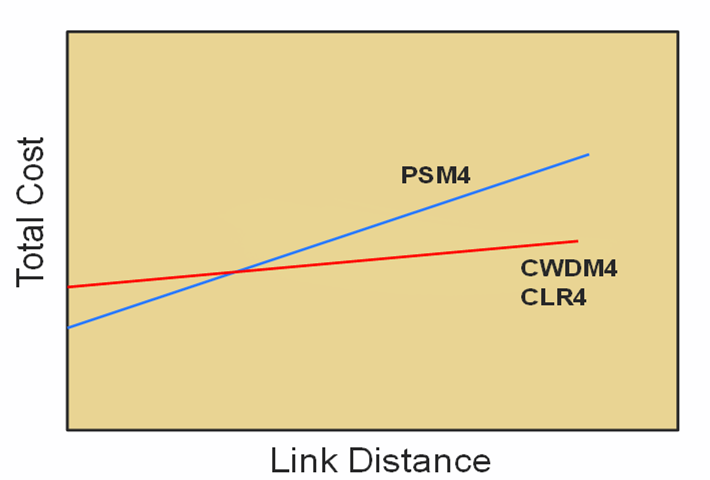 CWDM4 routes four 25G optical transmissions down a single fiber, which is like the qsfp 100g psm4 s. But it has longer reaches of up to 2km on SMF. And CWDM4 uses multiplexer and de-multiplexer to reduce the number of fibers to two rather than eight. When connected into transmission links, on the transmitting side, signals are multiplexed into one channel and transmitted through the SMF; then on the receiving side, the incoming signals are demultiplexed into four separated channels (shown as below). With a number of 100G optical transceivers emerged, many factors should be taken into consideration when choose suitable transceivers. 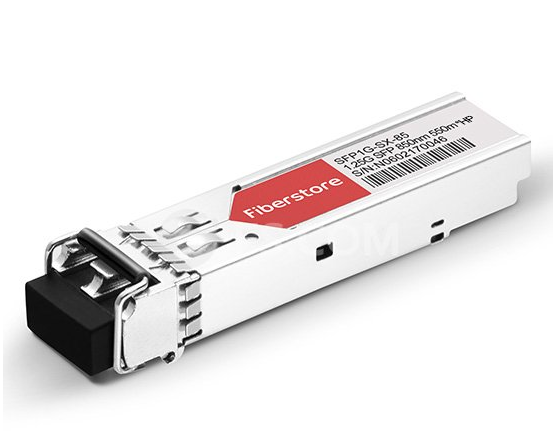 The key features of the 100G QSFP28 transceivers are listed below. As shown in the table, cable type, interface type, fiber count and reach are needed to be considered when purchasing transceivers. 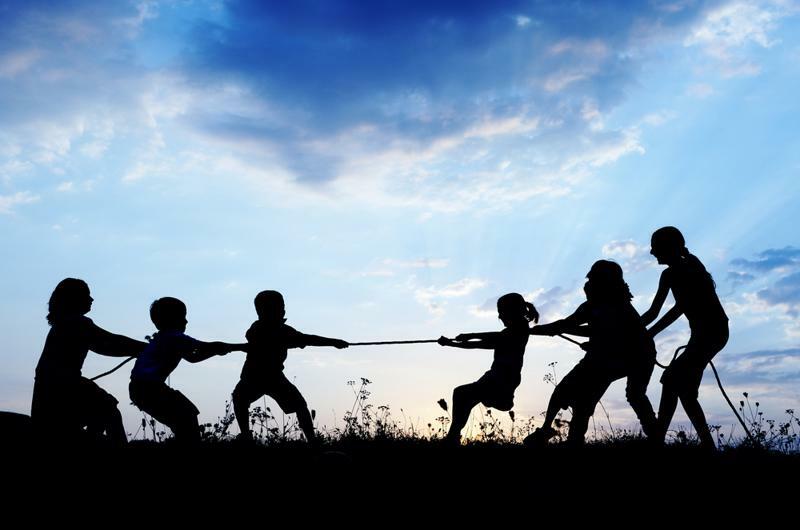 For example, in the terms of reach, except the shortest (100g SR4) and the longest (100g LR4), qsfp 100g psm4 s and CWDM4 are battling out in the 2km range. Here is a simple chart that may help to illustrate the difference between the two. As have mentioned above, qsfp 100g psm4 s doesn’t use MUX/DEMUX, which determines its price is lower than CWDM4. However, as the transmission distance increases, the cost will grow quickly since it deploys eight-fiber transmission links. In summary, there are various types of 100G qsfp28 transceiver modules on the market. Different companies and operators have different requirements for their links and applications. So choosing a suitable 100G QSFP28 transceiver should be based on your practical situations. If you want to know more about 100G QSFP28 transceivers, welcome to visit FS.COM. As the switching applications requiring higher bandwidth increased, the need to upgrade from 10G to dense 40 Gigabit Ethernet switching connection also goes on rise. But the optical transceivers widely used at present require to redesign the data center layout if migrating to 40G, for the existing fiber infrastructure cannot satisfy this migration requirement. However, the QSFP-40G-UNIV transceiver can solve this problem perfectly. Why QSFP-40G-UNIV transceiver can resolve the problem successfully? Let’s first to know the basics about it. The “UNIV” in item “QSFP-40G-UNIV” means “Universal”. 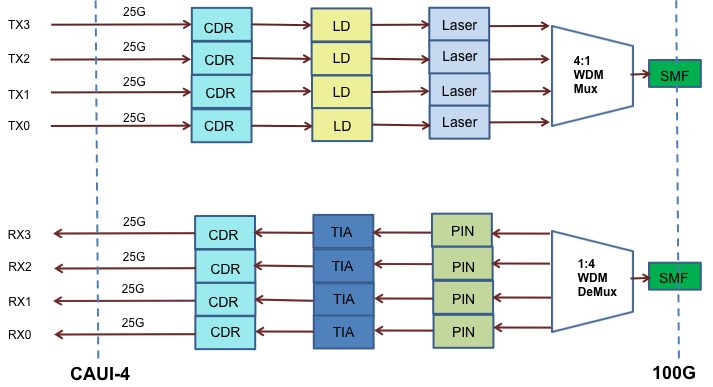 As we all know, common optical transceiver only can operate either on single-mode fiber (SMF) or multimode fiber (MMF), but it can work on both types of fibers. Therefore, QSFP-40G-UNIV transceiver is also called SMF&MMF 40G transceiver or QSFP 40G universal transceiver. This transceiver is a pluggable optical transceiver in an industry standard QSFP+ form factor. It has four channels of 10G multiplexed inside the module to transmit and receive an aggregate 40G signal over a single pair of single-mode or multimode fiber. And it uses a duplex LC connector that makes it work with a wide range of fiber optic cables, including multi-mode OM3 and OM4 and single mode (OS1). Besides, QSFP-40G-UNIV transceiver supports distances up to 150 m over OM3 or OM4 multimode fiber and up to 500 m over single-mode fiber (different vendor may have different specifications). There are various types of short reach QSFP transceivers such as QSFP-40G-SR4 and QSFP-40G-XSR4. The longest reach of them on OM3 is 300m. And most of them use MPO-12 connectors and ribbon fiber infrastructure. As a result, if users have to deploy new fiber to upgrade from 10G to 40G or to install MTP/MPO fiber systems, they have to invest more money to change the existing network systems. However, QSFP-40G-UNIV transceiver is different. It has LC connectors and supports several types of cables, allowing for seamless migrations from existing 10 to 40GbE networking without requiring a redesign or expansion of the fiber network. Here are the advantages of QSFP-40G-UNIV transceiver. As have mentioned above, QSFP-40G-UNIV transceiver is a kind of optical transceiver that can be used for both single-mode and multimode fibers. With this unique design, it offers a cost-effective connectivity for data centers’ migration. 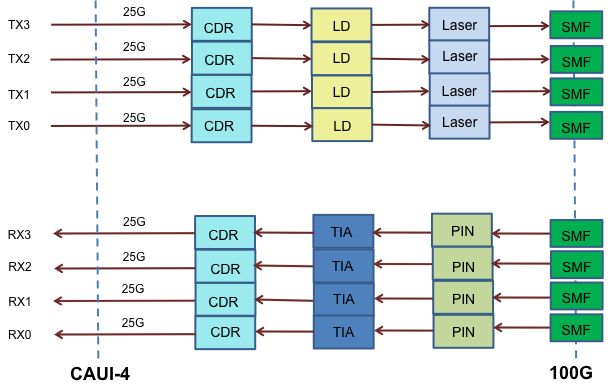 Here is a simple illustration of the applications using QSFP-40G-UNIV transceivers. The following figure shows the simplest and cost-effective way to connect two Cisco Nexus 9396PX switches with Cisco compatible QSFP-40G-UNIV transceivers for multi-mode fiber infrastructure. In this connection, except for the required transceivers, an LC to LC duplex multimode fiber patch cable is also needed to link the two QSFP-40G-UNIV transceivers directly. With the special characteristic, the use of Cisco compatible QSFP-40G-UNIV transceiver can help network administrators take greatly advantage of reducing deployment and support. The following figure shows a low cost single-mode 40GbE Interconnection solution. These qsfp+ transceivers are connected with LC duplex SMF fiber patch cables. And two fiber enclosures loaded with MTP LGX cassettes and MTP/MPO trunk cables are also needed to realize this connection. Without having to redesign or change the existing cable infrastructure, qsfp bidi transceivers enable data centers to run at 10G today and to seamlessly upgrade to 40G. It offers a transition path between single-mode and multimode optics with lower cost and more conveniences. 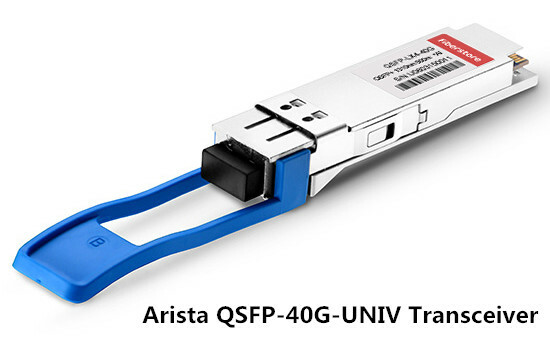 FS.COM supplies 40G QSFP transceivers compatible with other major brands including Cisco QSFP-40G-UNIV, Arista QSFP-40G-UNIV, HPE, etc. And those transceivers are 100% tested to provide a satisfying working performance. You can visit FS.COM or contact sales@fs.com for more detailed information.